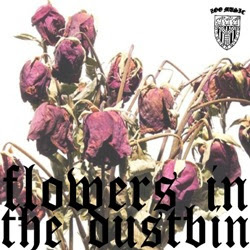 ZM009 Flowers in the Dustbin is one song from ZM001 through ZM008. It's a great way to "get familiar" with our catalog. It was free on Amazon for one month and then exclusive to Amazon for a second month, but is now available on ITUNES and, frankly, wherever you buy music online. Might I recommend you check out EMUSIC, for your digital purchasing needs? That site is great.